Can you believe August is already here? It is the middle of Summer and there is a lot of Royal Caribbean news to catch up from during this week. 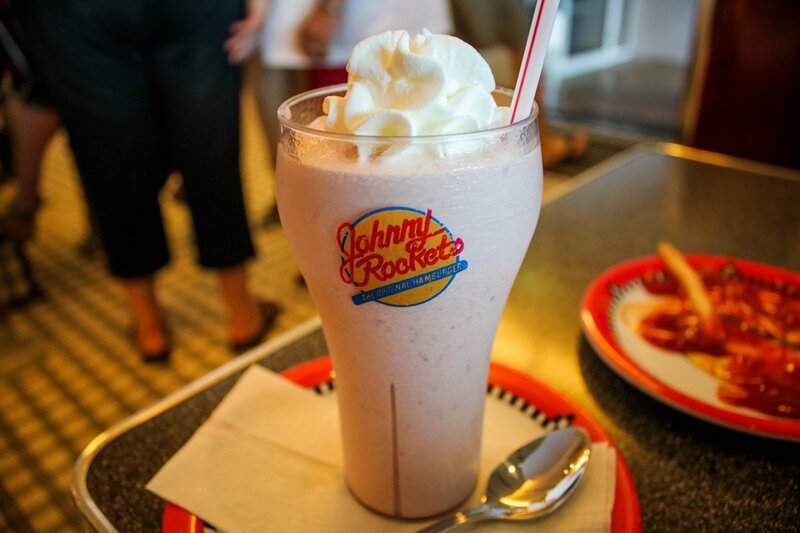 The Royal Caribbean news that made the biggest splash this week with our readers was the change that appears Royal Caribbean's drink packages now include milkshakes at Johnny Rockets as part of the package benefits. Recently we heard reports that guests were being informed that their drink package benefits included milkshakes at Johnny Rockets, and now we see Royal Caribbean's website has been updated to indicate that milkshakes are indeed included. With this drink package policy change, guests with the Deluxe Beverage Package have the opportunity to enjoy milkshakes that are included with the cost of their beverage package. Royal Caribbean announced it will remove onboard credit offer from non-refundable cruise fares. Royal Caribbean's leadership talked about how well Symphony and Mariner are doing, the new app progress and more during an earnings call. It looks like 3-night sailings from the United Kingdom will no longer offer alcohol packages. The August cruise promotion was released this week by Royal Caribbean. Here is a new kind of zip line excursion you can try in Labadee. We shared an inside look at the construction progress being made at Royal Caribbean's new terminal in PortMiami. Australian comedian Celeste Barber took Royal Caribbean's social media thrill-seeking challenge. Royal Caribbean added a new Deals link to its Cruise Planner site. A new Netflix movie debuted that features Harmony of the Seas, and Royal Caribbean hosted the largest movie premiere at sea. A look at the construction work being done at CocoCay. Royal Caribbean Asia opened a contest for youths in Singapore. The 261st episode of the Royal Caribbean Blog Podcast is now available, where we interview someone who just reached the Pinnacle Club level of Crown and Anchor Society. In this episode, Matt talks with Nick about what it took to reach the top of Crown and Anchor Society and what the distinction means to him. Nick also shares his review of the newly refurbished Mariner of the Seas. CNBC spoke to Royal Caribbean's Chairman and CEO about the impact of a trade war on cruising. Explore with Ed shared must-eat recommendations by cruise bloggers. Eat Sleep Cruise scored the changes and additions to Mariner of the Seas. Seatrade Cruise News reported that Susan Bonner has been appointed to oversea the Australasian market.